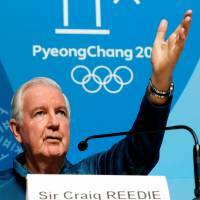 PYEONGCHANG, SOUTH KOREA - World Anti-Doping Agency president Craig Reedie cannot rule out the possibility of the Russian doping scandal carrying over to the 2020 Olympics but is counting on Tokyo to help restore the tainted image of the Olympic Games. Just one day from the opening of the Pyeongchang Winter Games, the International Olympic Committee was still dealing with a total of 60 appeals from Russians banned for doping at the 2014 Sochi Olympics. The Court of Arbitration for Sport said a decision on the appeals could take until Friday morning. At present, there seems to be no end in sight to the saga. Russia has yet to acknowledge a state-sponsored doping program and provide WADA access to a Moscow lab, two points that must be met for it to regain compliant status. As such, the case could drag on to the Tokyo Olympics. When asked if Tokyo would be impacted by the Russian scandal, he answered, “I sincerely hope not. I don’t want anything to affect the Tokyo Games. “I hope here, over the next two weeks, Pyeongchang can start that process, that you come out of these games with next to no problems at all. That would be good news. The IOC member did not hide the fact that trying to convince Russia to get with the program has been a challenge. Reedie, however, said a potential change this spring in Moscow — meaning President Vladimir Putin — could make a difference. “I’ve been trying to do this for 3½ years and we haven’t had any success,” the Scot said. “I hope that at some date, sooner rather than later, there is acceptance in Russia. Now that might take some time. We may have to wait until the presidential election in March, when there could be a different political picture then. The Tokyo Olympics will be the first games where testing will be supervised by the Independent Testing Agency, the IOC’s new independent anti-doping and sanctioning body expected to be launched sometime this year. Reedie, who was chair of the IOC’s Evaluation Commission during the race for 2020, said the ITA, with assistance from Japanese authorities whom he raves about, should streamline anti-doping operations unlike the IOC, WADA, CAS merry-go-round that exists today. 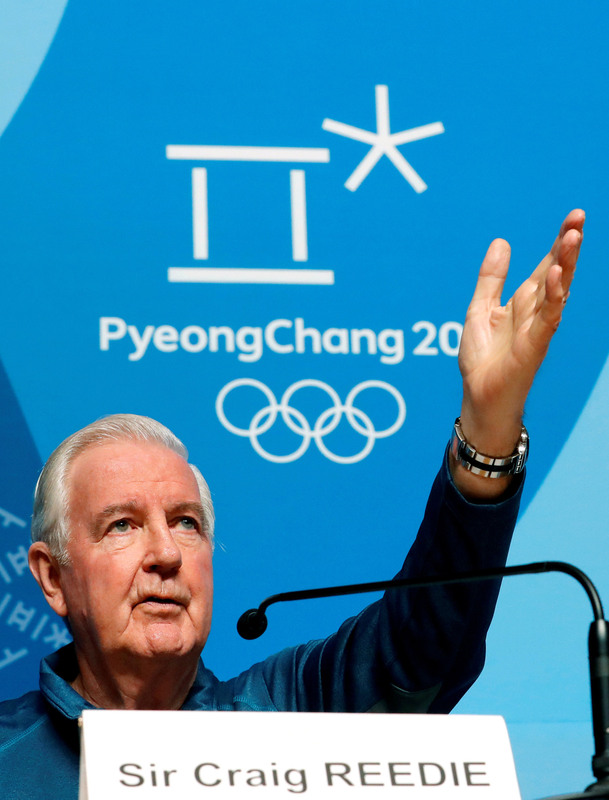 “By then, the IOC’s Independent Testing Agency will be fully up and running and I’m sure the setup and the arrangements will be good,” Reedie said. “I think there should be no difficulty in organization and delivery in Japan. I think you’re leaders in the anti-doping field and that’s good news going into the biggest event. “In practice, I hope it doesn’t make all that much difference except that it won’t be the IOC that’s responsible; it’ll be an independent organization. It’s a logical step that if it can get a good independent organization to do the testing, that makes some sense. Amid controversy, Russia will be hosting the soccer World Cup this summer. Reedie believes the testing there will be done by the book, even though the tournament will be met with skepticism. “It’s a decision that has been taken by FIFA. I think they are looking at the doping history there has been in Russia and seeking information from Dr. (Grigory) Rodchenkov,” he said, referring to the former director of the Russian laboratory who exposed the nation’s doping program and is now in the U.S. witness-protection program.